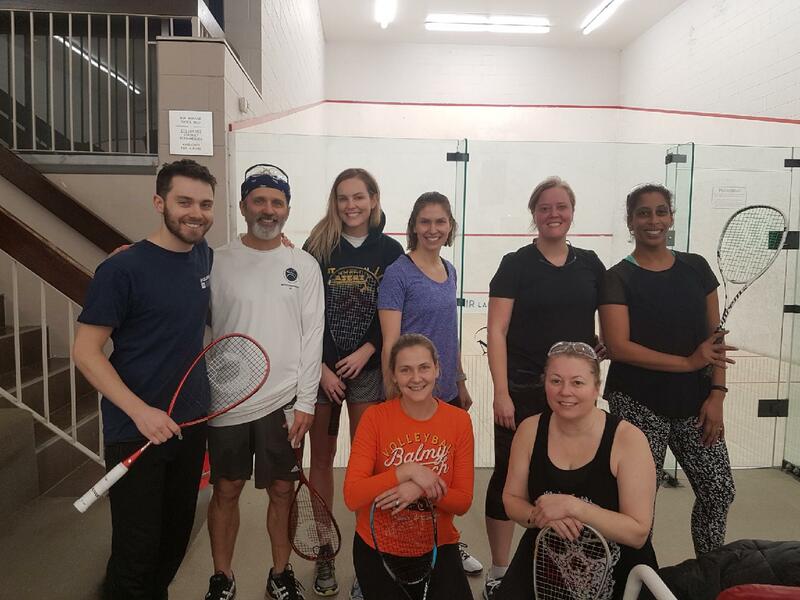 Home » Blog Posts » Jan 26-7: 5 clubs hosted 3 programs for more than 125 women! 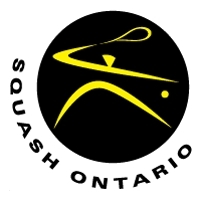 Jan 26-7: 5 clubs hosted 3 programs for more than 125 women! On the cold winter weekend of January 26-7, more than 125 TDWSA players kept warm on courts around Toronto & District. 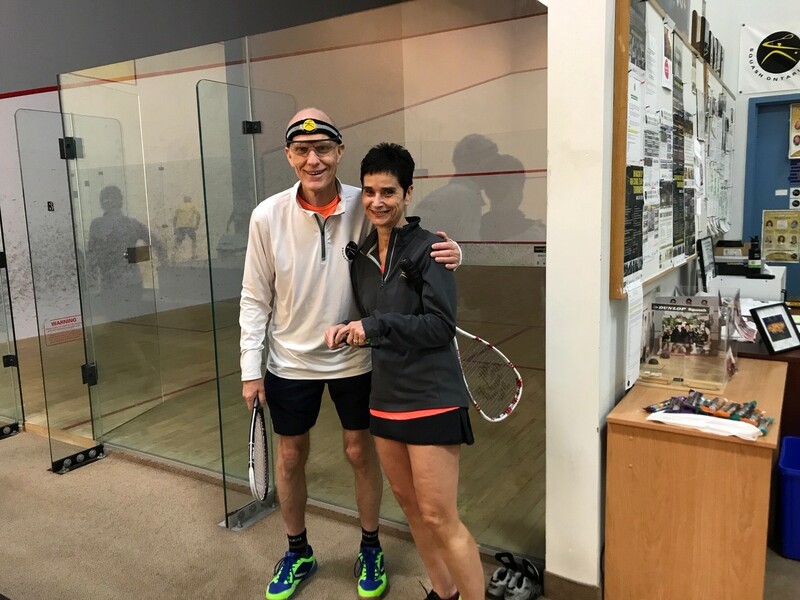 We ran 3 programs at 5 fabulous host clubs: Mayfair Lakeshore, Mayfair Parkway, Executive Squash & Fitness, Lifetime Athletic Club, and Pickering Squash Club. 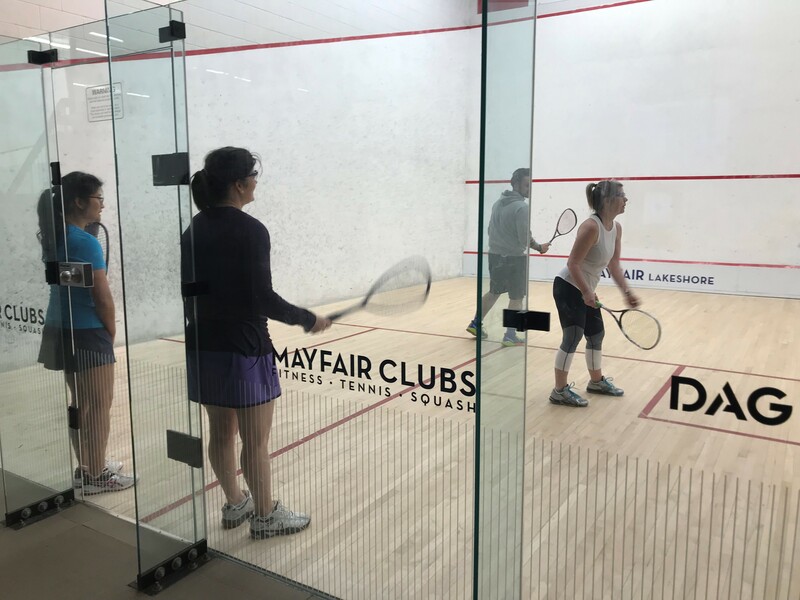 The fun and fitness kicked off on Saturday with our Intermediate Squash Camp at Mayfair Lakeshore. 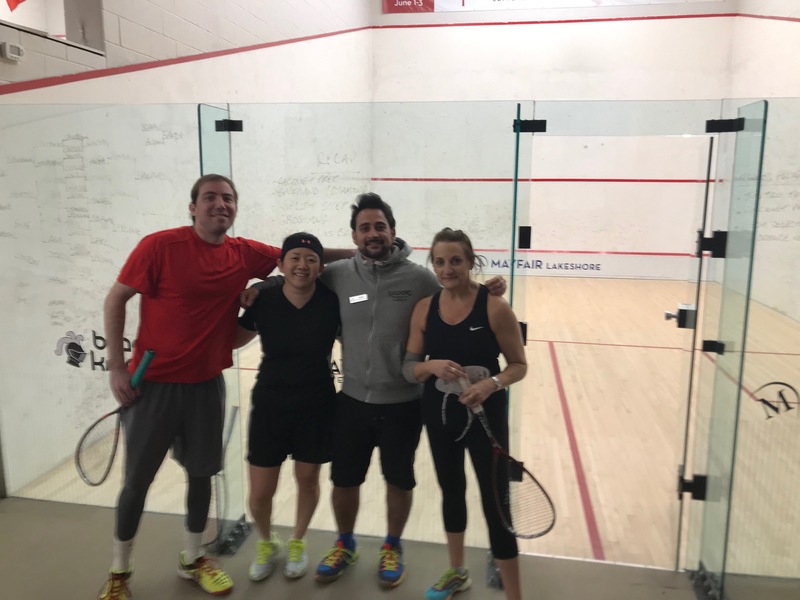 Greg Hutner, Manu Dutt and Duncan Malcolm kept participants moving over 5 hours of drills, conditioned games and a round robin that was won by our E Captain for the North Zone, Hannah Chan against Melanie Barwick! 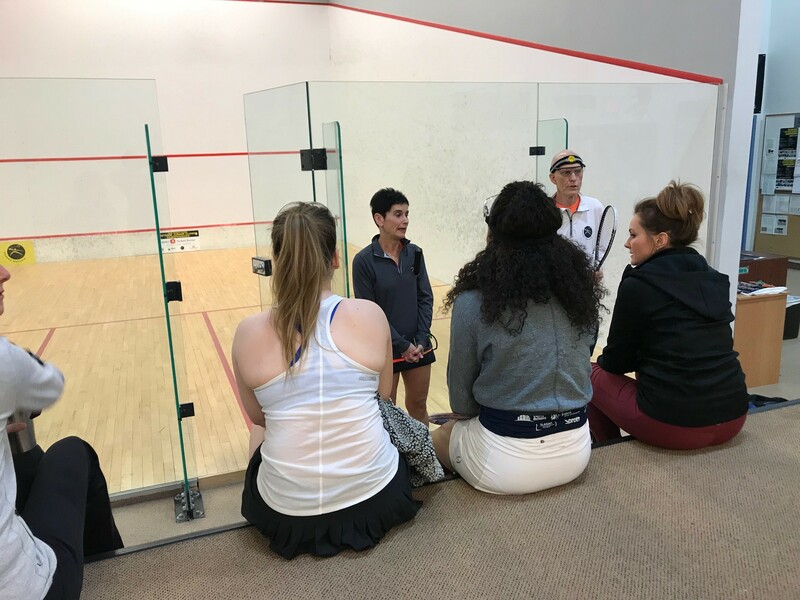 On Sunday, A and B players met with coaches Rob Brooks and Elka Markus for an Advanced Squash Camp at Executive Squash & Fitness. The event featured challenging drills and great feedback to help players fine tune their focus and game mechanics. E League was back on Sunday at four locations around T&D. We are thrilled that participation in our second session of E League has surpassed 100 players! 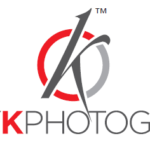 All of the women are keen to learn and improve with the support of amazing coaches and our team of volunteers.